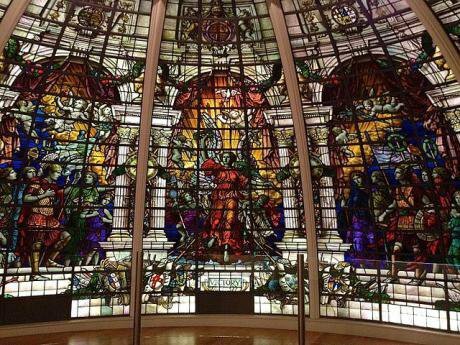 Restored stained glass ‘Victory’ window from Baltic Exchange, 2013. Wikicommons/Heidi De Vries. Some rights reserved. Over twenty-six years ago, on 9 April 1992, the Conservative prime minister John Major led his party to an unexpected general-election victory against Labour’s Neil Kinnock. What followed, and eventually led to the landslide victory of Tony Blair’s New Labour in 1997, has some interesting parallels with current British politics. But there is one fundamental difference. Before reaching the latter, the similarities are worth recalling. The immediate aftermath of that election was startlingly different from what might be expected not because the Provisional IRA (PIRA) detonated two very powerful van bombs in London. One was in the financial heart of the City of London in front of the Baltic Exchange, inflicting damage estimated at £1 billion, and killing three people; the other hit a flyover at Staples' Corner, a crucial part of one of London’s busiest road intersections, the M1/A5/North Circular Road junction. This was the start of a sustained campaign of economic targeting of the City of London. It was intended not to cause mass casualties but to damage the City’s reputation at a time when Frankfurt was competing with it to be Europe's financial heart. Another huge device was detonated in Bishopsgate, which killed one person, three others were intercepted, and many false alarms caused considerable disruption. Major’s government and the City authorities denied that the campaign would have any effect or alter its policy. But behind the scenes, they fully recognised the seriousness of the PIRA threat and encouraged covert negotiations that eventually helped bring about a ceasefire in 1994. The Major Government was already in trouble, as its majority of only twenty-one seats began to be eroded: first by by-election defeats and then by the activities of Eurosceptic members of his own party. In July 1993 it had suffered a defeat on the EU's pivotal Maastricht treaty, followed by a TV interview at the end of which – the live feed still on – the prime minister blamed the “bastards” in his own cabinet. Major had called a vote of confidence, won that and carried on, but his troubled administration became ever more dependent on the votes of Northern Ireland's Unionist MPs. These MPs in turn were increasingly unhappy with the government’s moves to talk with PIRA. The ceasefire collapsed in February 1996 with a bombing at Canary Wharf, which killed two people. The complex, London’s secondary business district, did not have the high levels of security of the City of London. A bomb in June that year devastated the centre of Manchester. In May 1997, Tony Blair’s New Labour surged to power and made negotiations over Northern Ireland one of its priorities. Major’s government had many other problems, but was weakened above all by the hardline Eurosceptic tendency in the cabinet and on the Conservative backbenches. While the worldview of Blair’s government overlapped with the Conservative one in key respects, it also made changes, such as the minimum wage, more investment in public services, devolution, and limited House of Lords reform. There are some obvious similarities with the current situation, most vividly the deep divisions in Theresa May’s government over Europe and its current dependence on Unionists. A fundamental difference is that Corbyn’s Labour Party is well to the left of New Labour yet now appears electable, in spite of all the internal opposition to Corbyn and his team and the print media's near overwhelming hostility (see "Corbyn's critics: time to come round", 4 May 2018). 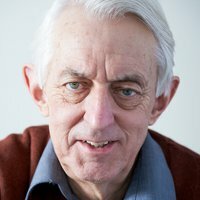 What was fascinating about the Conservative Party conference in Birmingham this week is that while the Europe controversy has dogged it throughout, there is also strong concern that what once seemed fanciful – that Corbyn could be elected and get into Downing Street – is now possible and even likely (see "Corbyn's Labour Party: can it win? ", 20 September 2018). A certain discomfort about that has certainly been present in the wake of the 2017 election. Since then, despite Labour’s travails on anti-semitism and other issues, the sense of a genuine challenge from Labour to the Conservatives has remained and even grown. These issues have simply not had the anticipated effect. The Conservative disarray has not yet given way to a strong Labour lead in the polls. But the governing party's nagging worry is what could happen in an election campaign, given that Labour in 2017 eroded a commanding Conservative lead within a few weeks – a turnaround unmatched by any party since 1945. But a larger question in all this is: does it really matter who is in government? After all, the case can be made that power in Britain hardly lies in parliament when most parties in power simply bow down to the multiple elites, especially the City, that very largely determine the political direction of the country. This is where the current situation is so volatile. Corbyn’s team simply do not accept the status quo and are having surprising success in putting their very different views across. Remember that only three years ago the dominant belief was that there was no alternative to austerity. The contrast with New Labour is never more obvious than here. Blair came to power in 1997 leading a team that fully accepted the reality, even the inevitability, of neo-liberalism and its associated worldview. It was willing to work with the City, including light-touch financial regulation, but aimed only to rebalance things a little in the direction of social progress. Corbyn’s team will have none of it. One of the best and most perceptive pieces of writing on the City of London is in Nicholas Shaxson'sTreasure Islands: Tax Havens and the Men Who Stole the World, the seminal account of tax havens, of which the City is the prime example. In the “Griffin” chapter, written well before Corbyn’s rise to power, Shaxson pointed to the serious ignorance of the City and its power among the great majority of Labour MPs, in marked contrast to those in the Conservative Party. A notable exception, in Shaxson’s view, was John McDonnell - who became and remains Jeremy Corbyn’s shadow chancellor. In the new parliament, moreover, McDonnell is not alone among Labour's contingent in parliament. The wider issue is that Labour is now able to propose policies that relate directly to its view that the neo-liberal economic era may be coming to an end. It is now hardly a novel or surprising view any more: such an assessment is increasingly common in many progressive circles, and is frequently analysed by many authors in openDemocracy. What is different is that one of the world’s major economies, which has a hugely influential financial sector with global influence, could well be governed by a determined party with a membership bigger than all the others put together that does not accept the economic status quo. Some of the more perceptive Conservative politicians in Britain are only too well aware of this. That is the main reason why fear of a Labour government led by Jeremy Corbyn worries them more than that of any Labour configuration since the 1940s.